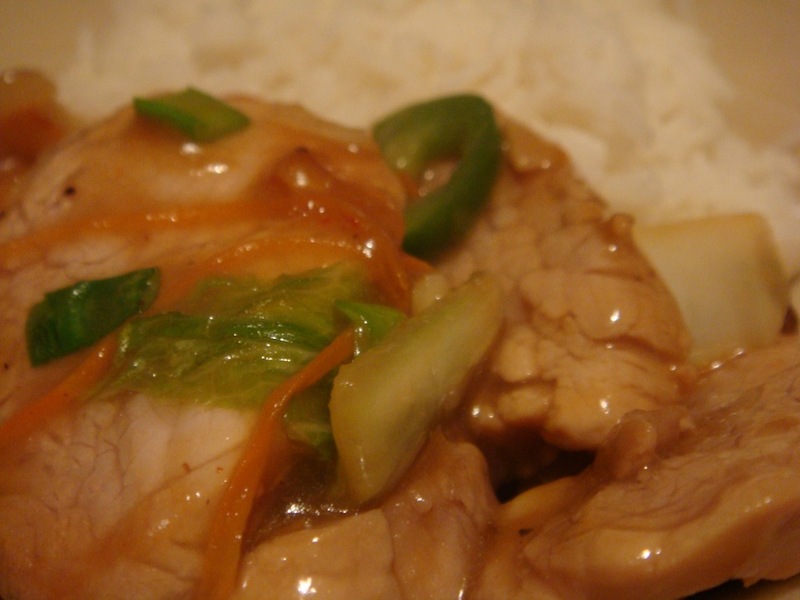 Dwaejigogi duruchigi 돼지고기 두루치기 is a hot and sweet dish made from pork and cabbage. 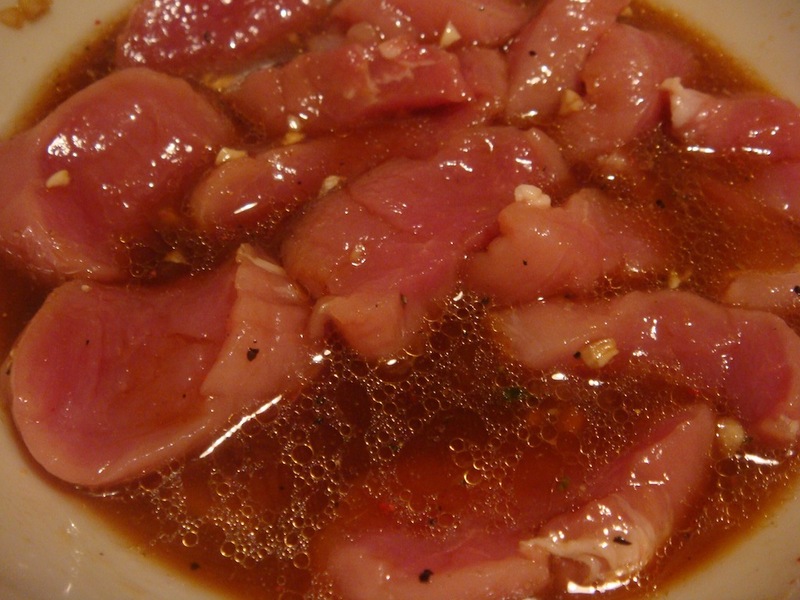 To prepare marinade, mix pepper, hot red pepper flakes, minced garlic, soy sauce, rice vine, sesame oil, sugar, ginger powder and orange juice. 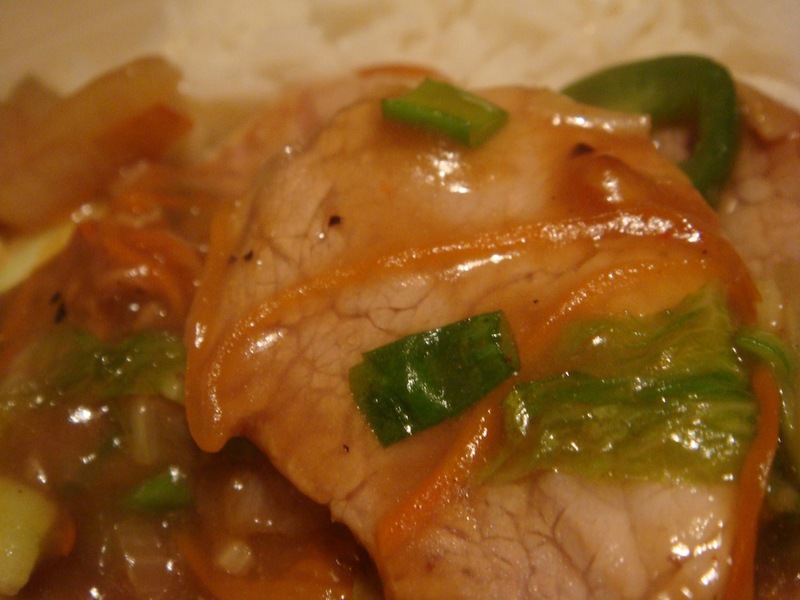 Cut pork into strips and put into the marinade. Set aside for about an hour. 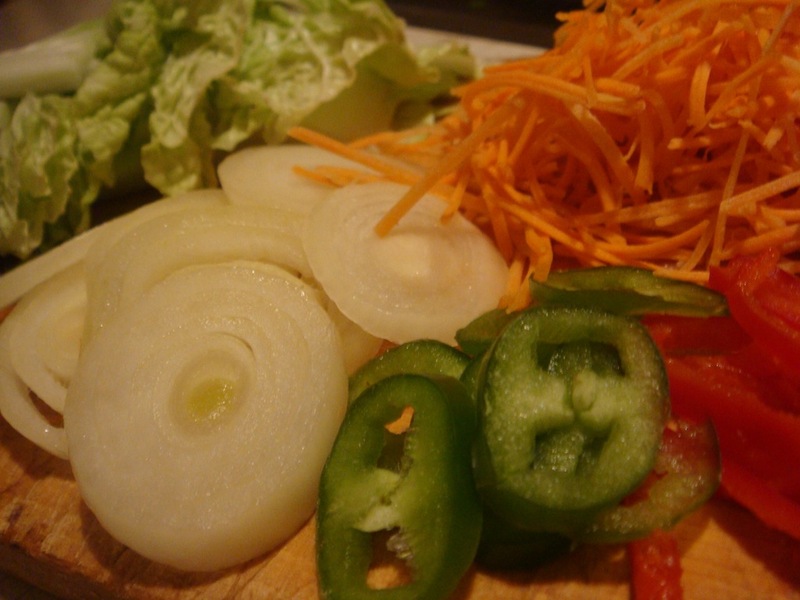 Cut cabbage into bite-size pieces, onions and carrot into strips. 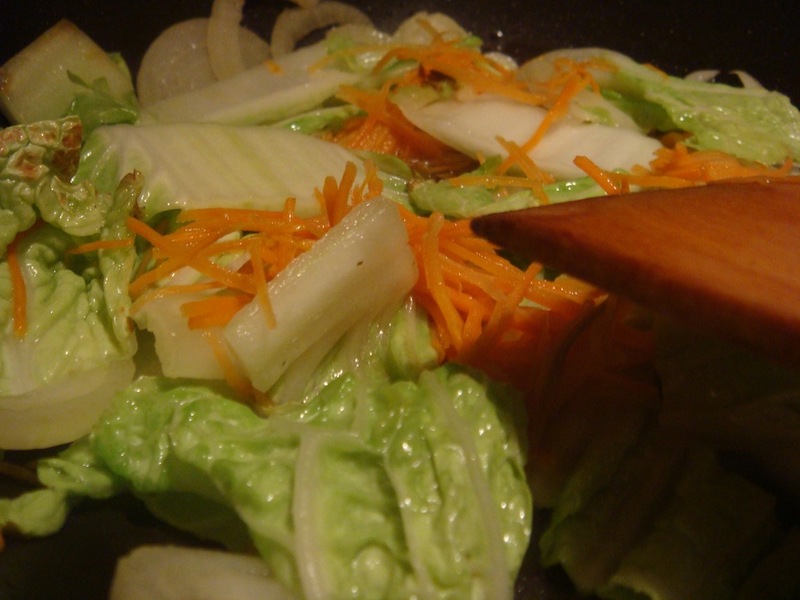 In a heated pan, stir fry onions, cabbage and carrot for about 2 minutes. You can add a few drops of vegetable oil (if needed). 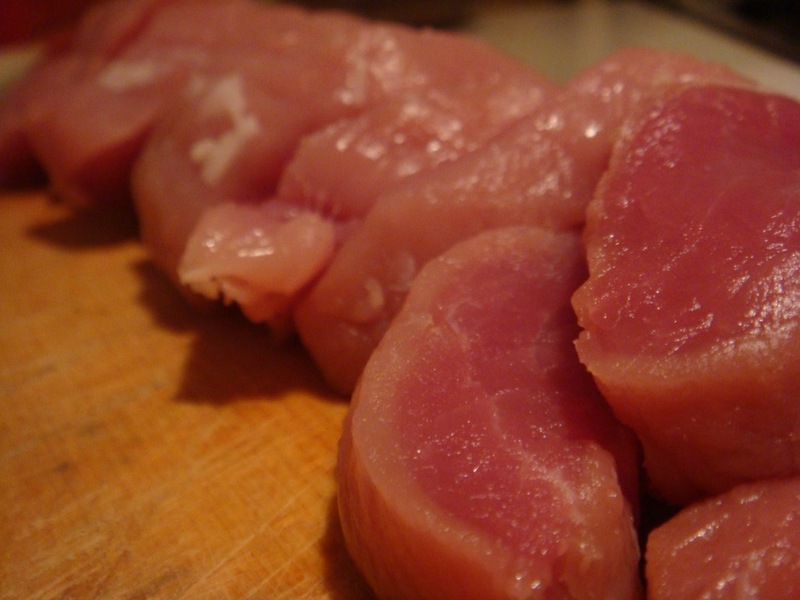 Add pork with the marinade and a cup of water and cook for 2 minutes. 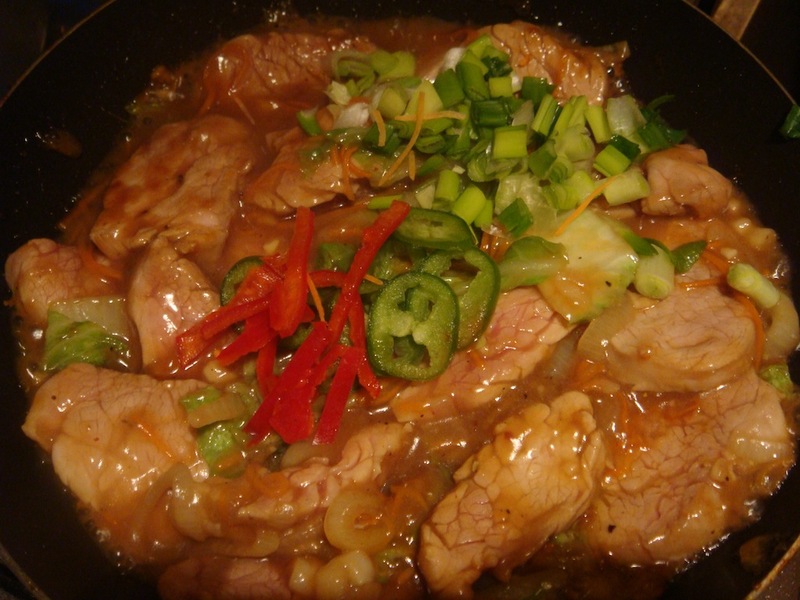 Add sliced red and green pepper and cook until the sauce thickens. ← Japchae 잡채 – there’s a noodle out there for everyone!